The best place to stay if your intention is to visit Cayo Romano would be Cayo Coco. 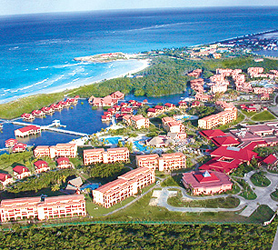 From any hotel listed below, you’ll be able to get to Cayo Romano in around 20 minutes by car. Obviously all these hotels offer all-inclusive accommodations, plus a myriad of services you will almost certainly find appealing. We can also provide a Car Rental to be either delivered to your hotel or, collectable at the Jardines del Rey airport when you arrive. If you intend to visit Cayo Romano from another city or place in Cuba, please check out our comprehensive Guides to Cuba to select the best place that suits your exact itinerary. We will work with you (via chat) to organize any itinerary you need, just click the chat button. As is common with all our +50 online guides to Cuba, the hotels below can be booked without a deposit, your credit card is only charged when you check-in at the hotel. If you don’t show, you’ll be charged one night. 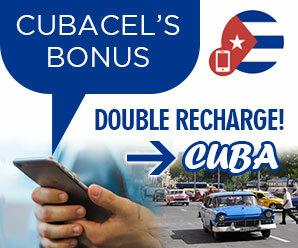 The final charge is applied transparently and, you need not take the card you used to book, with you to Cuba. Confirmations are 100% guaranteed and verifiable, should you desire, with a simple email to the hotels but we’ve been offering bookings to Cuba since 1995, so your booking is safe with us. See you at Cayo Romano!